Alvin David Coox, (pronounced "cooks"; March 8, 1924, Rochester, New York – November 4, 1999, San Diego, California) was an American military historian and author known for his award-winning book, Nomonhan: Japan Against Russia. Coox studied at New York University with a bachelor's degree in accounting and achieved his doctorate in history at Harvard University. He taught at Harvard University in the 1940s and at Johns Hopkins University, before working as an analyst for the elucidation of 15 years Air Force after they went to Japan. From 1964 to 1995, he taught at San Diego State University. Coox is primarily known for his two volume book, Nomonhan: Japan Against Russia, about the nearly forgotten battles in the Nomonhan Incident, where the Soviet Union and Japan fought for control of Mongolia and Japan was halted in its inland westward conquest from Manchuria. In 1986, he received the Samuel Eliot Morison Prize. Dr. Coox told colleagues that his book on Nomonhan was a result of 35 years of research and more than 400 interviews. Nomonhan was a "nearly forgotten moment in history," wrote John H. Boyle in his review in the Journal of Asian Studies. Coox "reconstructed the Japanese folly at Nomonhan in all of its political, military, and human dimensions to produce a masterful study that will stand as a model of scholarship for military historians." He showed that the Japanese army "did not know and did not want to know about enemy capabilities," and that the Japanese decision makers were so shaken by the defeat that they turned their strategic emphasis away from the Soviet Union in the north to opportunities in the south.
" Repulsing The Pearl Harbor Revisionists: The State Of Present Literature On The Debacle," In Pearl Harbor Reexamined: Prologue To The Pacific War, edited by Hilary Conroy and Harry Wray. Honolulu : University of Hawaii Press, 1990. ^ a b c Honan, William H. (1999-11-23). "Alvin Coox, 75, Historian Of Russia-Japan Fight, Dies". NYTimes.com. Retrieved 2016-03-13. Pacific Rim Archive: Alvin Coox papers, University of Southern California. The South Manchuria Railway, officially South Manchuria Railway Company , or 滿鐵 for short, was a large National Policy Company of Japan whose primary function was the operation of railways on the Dalian–Fengtian (Mukden)–Changchun corridor in northeastern China, as well as on several branch lines. However, it was also involved in nearly every aspect of the economic, cultural and political life of Manchuria, from power generation to agricultural research, for which reason it was often referred to as "Japan's East India Company in China". The Kwantung Leased Territory was a Russian-leased territory (1898–1905), then a Japanese-leased territory (1905–1945) in the southern part of the Liaodong Peninsula in the Qing Empire and later the Republic of China which existed from 1898 to 1945. It was one of the territorial concessions that the Chinese government under the Qing Dynasty was compelled to award to foreign countries during the second half of the 19th century. The territory included the militarily and economically significant ports of Lüshunkou and Dalian. 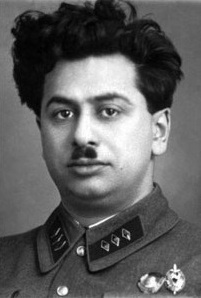 Genrikh Samoilovich Lyushkov was an officer in the Soviet secret police and its highest-ranking defector. His subsequent disappearance has been subject to controversy and speculation by journalists and scholars. The Battle of Lake Khasan, also known as the Changkufeng Incident in China and Japan, was an attempted military incursion by Manchukuo, a Japanese puppet state, into the territory claimed and controlled by the Soviet Union. This incursion was founded in the belief of the Japanese side, that the Soviet Union misinterpreted the demarcation of the boundary based on the Treaty of Peking between Imperial Russia and Qing China and that the demarcation markers were tampered with. Japanese forces occupied the disputed area but withdrew after heavy fighting and a diplomatic settlement. Rensuke Isogai was a general in the Imperial Japanese Army and Governor of Hong Kong under Japanese occupation from February 20, 1942 to December 24, 1944. Michitarō Komatsubara was a general in the Imperial Japanese Army, during the Nomonhan Incident. Kenkichi Ueda was a general in the Imperial Japanese Army during the Second Sino-Japanese War. He played an active role in the Soviet-Japanese Border Wars of the late 1930s. Jirō Tamon was a lieutenant general in the Imperial Japanese Army in the early Second Sino-Japanese War. He was noted as the commander in many of the operations of the invasion of Manchuria. 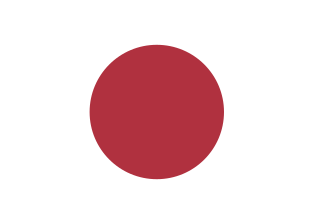 Masazumi Inada was a lieutenant general in the Japanese Imperial Army during World War II. Japan's Imperial Conspiracy is a nonfiction historical work by David Bergamini. Its subject is the role of Japanese elites in promoting Japanese imperialism and the Greater East Asia Co-Prosperity Sphere; in particular, it examines the role of Crown Prince and Emperor Hirohito in the execution of Japan's Imperial conquest, and his role in postwar Japanese society.